Last Night we had the pleasure to entertain Benedicte of agency wine labels Cazes, Domaine de Prince and St Hiliare. Fresh from the valley and Plateaus of the Costieres de Nimes and neighbouring Languedoc regions with wines in tow, we were whisked briefly but deftly through the evocative delights of what the very South of France has to offer. We started with three precise and carefully crafted whites first of which was an unoaked Chardonnay under the label of Cazes. The hidden citrus fruits of such an understated variety simmered gently beneath a clean minerality and a tongue curling crispness. Often slated and sniffed at, clean chardonnays such as this one only enhance an otherwise awkward reputation. This was followed by a small batch production of Costieres de Nimes white under the label of Domaine de Prince. With mostly Grenache blanc in the varietal blend the very typical flinty notes dusted a bruised and light peach-like fruit. And bringing up the rear for the whites was the Cotes du Rhone St Hiliare blanc. 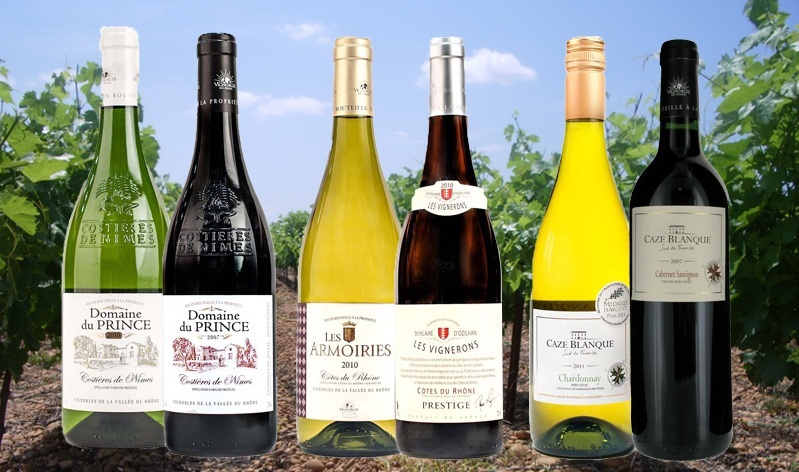 Rounder and somewhat broader the Southern Rhone blends of Marsanne and Rousanne were given width with the inclusion of Clairette and Viognier. Clairette is closely linked with wines from the south east corner of France and can seem a clumsy grape when used alone, but marry it to a blend and the best of the berry fruit comes to the fore giving this wine an aromatic lift. And so we turned to reds. The partner to the Cazes chardonnay was a Cabernet Sauvignon. Bottled as a single varietal but grown in a generally temperate climate, Cab sav, as we so fondly name it can express its typical character of cassis as did this offering. This was followed by the brother to the Cotes du Rhone blanc a peppery and coffee-like red while the evening was ended with Domaine du Prince which echoed the cotes du Rhone’s espresso and blackberry notes on a more brooding and smokier level. A fitting end to a charming evening and don’t forget we have all these lines on sale here at Amathus Drinks Leadenhall and all surprisingly good value. Let us know if you have tried them already and what you think!